When a motorist has their license revoked because of an alcohol conviction (misdemeanor or felony), the Department of Motor Vehicles (DMV) has implemented a policy in which they review the motorist’s lifetime driving record.If this review reveals a history of prior alcohol convictions, the DMV will implement additional re-licensing restrictions in addition to those imposed by the sentencing court. Depending on the number of prior alcohol convictions, this review can result in additional revocation up to, and including, a lifetime denial of re-licensing. Five or more drug or alcohol driving convictions can result in the motorist being designated as a persistently dangerous driver. This will result in a permanent denial of re-licensing. The motorist is entitled to a hearing to establish compelling or extenuating circumstances to justify re-licensing. (Good luck with that). A high point violation is any violation for which five or more points are assessed on a person’s driving record within the 25 year look back period. (Note: a cell phone conviction is a five point violation, and a speeding ticket for 21 MPH over the speed limit is a six point violation). 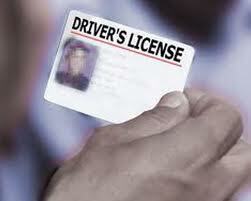 Most motorists who are convicted for an alcohol violation anticipate being eligible for a conditional license. A motorist is only eligible for two conditional licenses in the motorist’s lifetime. For example, if a driver were convicted of driving while ability impaired (DWAI) and their license was suspended for 90 days during which they were issued a conditional license in 1998, and were again convicted of DWAI in 2008, and again were issued a conditional license, they would not be able to get another conditional license for the rest of their life. This is only a small sample of the DMV administrative re-licensing regulations, which an attorney representing a motorist facing a DWI charge should discuss with their client.